You must file a West Virginia income tax return if: You were a resident of West Virginia for the entire taxable year. You were a resident of West Virginia for a part of the taxable year (Part-Year Resident). 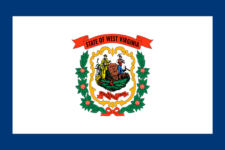 You were not a resident of West Virginia at any time during 2014, but your federal adjusted gross income includes income from West Virginia sources (nonresident). Never forget to file WV IT-140 again.